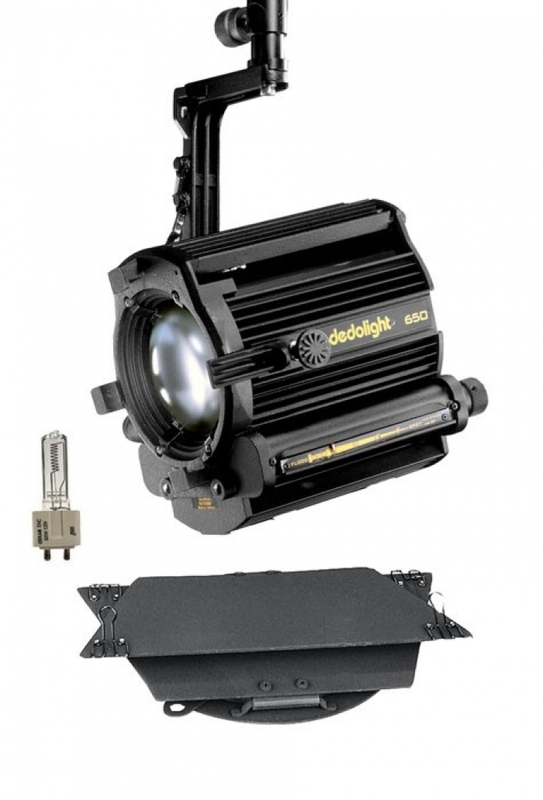 A favourite with commercial Directors of Photography – the Dedolight 650 offers excellent optical quality with an unparalleled spot to flood ratio and clean beam – this combination provides a superior level of control with both the barn doors and also with clean shadow characteristics. The 650 is a mains operated light and can be used with a choice of, 650 W, 500 W or 300 W halogen lamps in versions from 100 - 240V. Can also be used with the Dedo 400 projector.